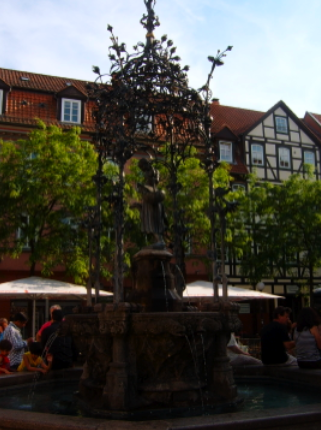 Göttingen International Church: Is youth ministry killing the church? UNINTENTIONALLY DISCONNECTING KIDS FROM THE LARGER BODY OF CHRIST ? 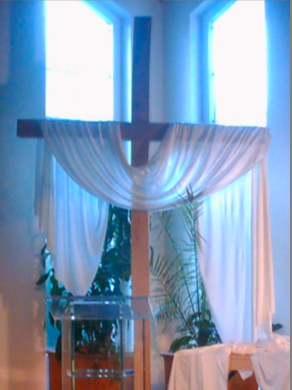 After having worked for several years as a youth pastor, I recently accepted a call to be an interim solo pastor. One weekend, Sara, a beloved saint of the church, died after a long battle with Alzheimer's. On Sunday morning I was standing in the choir room discussing plans for the funeral when Jonathan—a high school sophomore—walked in. She gratefully accepted his offer and excused herself from our conversation to review the music with him. It was a pretty mundane exchange, but I was blown away. It's remarkable enough to see a 16-year-old boy drive himself to church early to join a bell choir comprised of adults in their 50s and 60s. But even more intriguing was Jonathan's perceptiveness. Not only did he know that Libba was Sara’s daughter, but life in the church had taught him to anticipate congregational needs. He knew that Libba played with the bell choir, and he realized she probably couldn't play that morning. Unprompted—I checked with his parents—he offered to fill in. 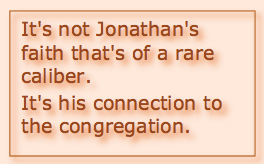 This couldn't have happened at any of my previous churches—though it's not Jonathan's faith that's of a rare caliber. It's his connection to the congregation. 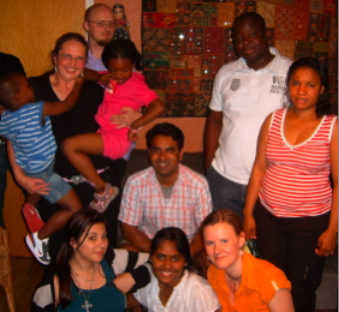 I've always met young Christians through youth programs. I've been hired by churches so committed to the discipleship of their young people that they've dedicated resources to creating specialized curriculae and activities. 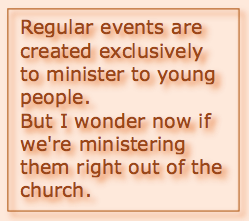 These churches expect regular events that are created exclusively to minister to young people. But I wonder now if we're ministering them right out of the church. Unlike Jonathan, the kids I've previously pastored never sat around a table with adults at church-wide fellowship events—they had their own program options. They've never worked side by side with other members to put on a neighborhood vacation Bible school—they were off on their own mission trips. When the youth were asked to contribute to the larger church, it was usually through manual labor, the only thing we thought they were capable of doing. Yes, we may have let them plan and lead one worship service a year, but we never dreamed of asking any of them to sit on the worship committee or serve as a regular worship leader. The message was that the church existed to serve them, not the other way around. Kenda Creasy Dean and others warn that when our children and youth ministries ghettoize young people, we run the risk of losing them after high school graduation. I saw evidence of this in Jonathan. Over the years I've worked with young people as passionate and serious about their faith as Jonathan is. I think I've done youth ministry with integrity. But I may have been unintentionally disconnecting kids from the larger body of Christ. 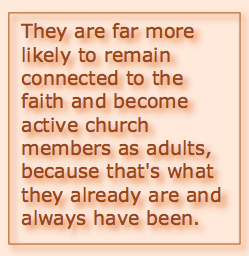 The young people at my current congregation - a church that many families would never join because “it doesn't have anything for youth” - are far more likely to remain connected to the faith and become active church members as adults, because that's what they already are and always have been.